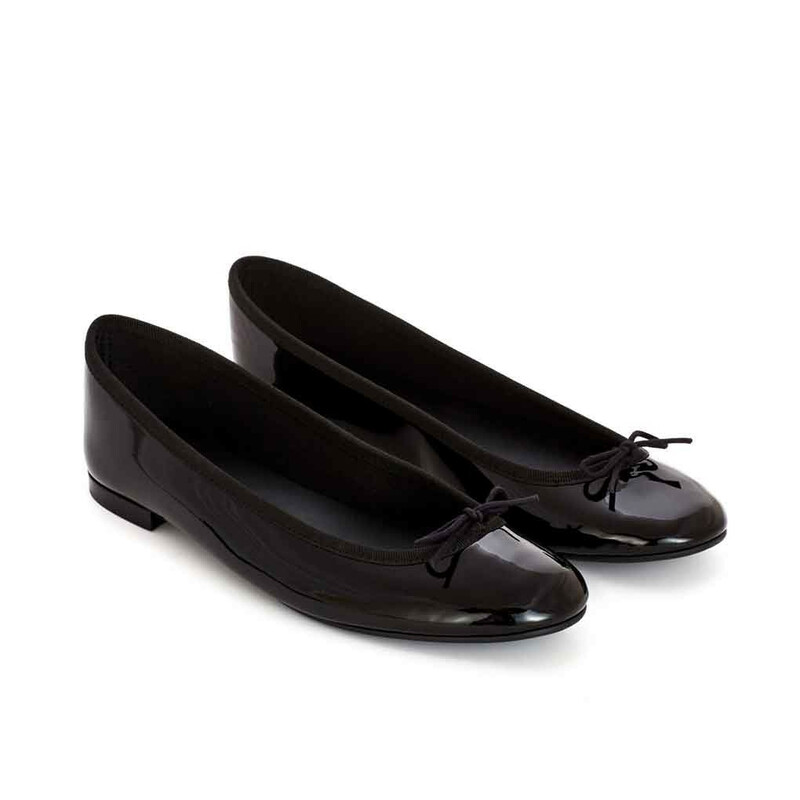 Lili Ballerina is a practical rubber sole variation from the Repetto´s famous Cendrillon ballerina shoe and part of the Repettos new line “The Mythique Rubber”. The line features models with a durable rubber sole for the more rainy seasons and for the extended comfort. Lili Balgom is build on the same last as Cendrillon ballerina shoe. Adjustable lace proffers perfect fit for everyone.The inside is lined with black coloured cotton jersey and it comes with a removable insole in black sheepskin with a comfort foam. The outer sole is beautifull. Read more..
Lili Balgom is build on the same last as Cendrillon ballerina shoe. Adjustable lace proffers perfect fit for everyone.The inside is lined with black coloured cotton jersey and it comes with a removable insole in black sheepskin with a comfort foam. The outer sole is beautifully customized with ´R´ engraving. The construction of the shoe is developed by the ´stitch and return´ technique which is characteristic to Repetto house and traditionally used in dancing shoes. FYI. French sizing. We recommend taking one size up e.g. taking size 39 in Repetto for Italian size 38. If you have a wide feet, please select one and a half a size up. Adjustable lacing for perfect fit. 1 x Lili Patent Black was added to your shopping bag. 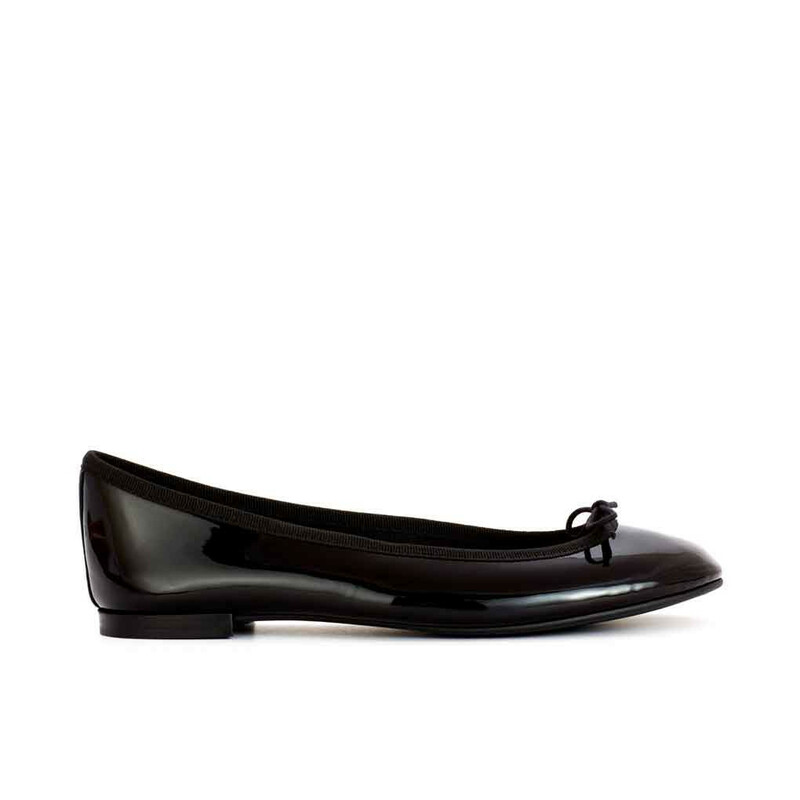 1 x Lili Patent Black was added to your wishlist.